A people exiled, seeking the truth about their past, long lost in vague, yet disturbing, myth and legend. Technology lost, then found again. A realm of priestesses with remarkable powers and implacable purpose, who worship a powerful god; a star that blazes unchanging in the skies above. A star which is poised to unleash devastation upon them all. Emanation is the first book in Drew Wagar’s acclaimed SF series, the ‘Shadeward Saga’. An amazing and original world, having read it leaves you desperately wanting more. 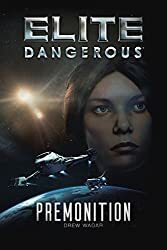 Fan of Drew’s Elite: Dangerous novel? Then this is a must for you! Seriously, forget the Elite stuff…This is his best work to date. This is certainly one of the best written books I’ve read this year, and I’m happy to recommend it to everyone. The book hits the ground running and doesn’t stop. The characters are brilliantly written. Having read Drew’s book Reclamation I wasn’t sure if Emanation could match it. How wrong! Read Shadeward : Emanation reviews on Amazon. 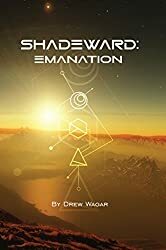 Detailed review of Shadeward : Emanation by StarFleetComms. I’ve seen Shadeward: Emanation compared to Anne McCaffrey as in ‘a must for McCaffrey fans’ and I don’t disagree, but in fact this book has more to it. This is science fiction with real depth in all its strands. There are hints of a history shaped by some cataclysmic event that has been lost from the collective consciousness, but the focus of this book and what makes it such a good read is the vivid picture created of the world and lives of the protagonists. The world was so vividly drawn that I came out of this book feeling as though I’d seen a film. It left me envying readers of the future who will finish this book and be able to go straight to the next knowing that the whole saga is before them waiting to be read! Good compelling read. This book sets up a number of story lines set in an amazing and original world, making it a compelling start to the remaining books in the saga. Having read it leaves you desperately wanting more. Really fun book. I enjoyed being able to see the story unfold across different places, understanding how everything comes together – but there are plenty of mysteries left which I am really looking forward to seeing unfold in book 2! I found myself urging characters on, really caring for them as different people, and it was difficult to put the book down (which is why I finished it in 2 days!). Wow! I just finished this and I’m already hungering for the next book in the series! I’ve always been a fantasy fan – swords and sorcery, etc. A couple of years ago, I fancied a bit of a change so, based on a friends recommendation, I tried Drew’s Oolite books (free sci-fi) and I was hooked on his work. 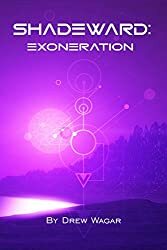 I’ve since read more of his books such as Torn and Elite:Reclamation but I have been looking forward to Emanation since it was first announced a couple of years ago. It was well worth the wait! Somehow, Drew has managed to wrangle fantasy and science-fiction into a single story in a way which is believable – and the background science (don’t worry, no maths here, I’m just talking about the background “rules” of how the world works) adds up too! A thoroughly enjoyable read and I would recommend this to fans of sci-fi, fantasy or just good storytelling with great characterisation. I love a good fantasy series that pulls me into a complex story and that continues to build on itself over the course of several books. 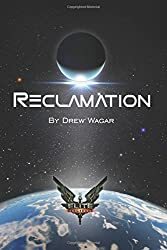 Author Drew Wagar has written the start to a pretty amazing such series with his “Emanation”. Parts sci fi, fantasy, adventure, and thriller, this is a very well-written tale that engages the reader from the opening pages and doesn’t let go. Set on a distant planet thousands of years in the future, this is the story of unrest between kingdoms, potential planetary doom, and the possibility that two twins, may have the answer. The twins were separated at birth and have no knowledge of each other and this first book is a great introduction to the two and the development of their abilities. Very well done and looking forward to Book 2. I have really been enjoying science fiction books lately and this book was so amazing! This was the first book that I had read from Drew Wagar and I would have to say that I am already a fan. The book is full of adventure, excitement, thrill and science fiction. I was actually looking to read a new series and Emanation stood out to me. I’m so glad that I decided to read this one as it really pulled me into another world and I didn’t want to let it go. The book is truly a great mix of fantasy, thrill, mystery, adventure and it made me hooked to this series. I thought that the author did a great job with the scenery and everything seemed very vivid to me. I was really in love with the characters and thought that they were well-developed. I’m really excited to see where they plot and the book will go in the second book. Looking forward to it!! Having read Torn and Elite: Reclamation I was really looking forward to reading Shadeward: Emanation and it certainly didn’t disappoint. The book hits the ground running and doesn’t stop. 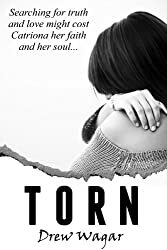 The characters are brilliantly written and, by the end of the book, I empathised with all of them; even the ones who might turn out to be the ‘bad guy’ later on (I haven’t decided yet!). I can’t wait to find out how the story progresses in book two – I need to know how what happens next!